The Edinburgh TV Festival is calling for emerging writers, performers and directors to enter its 2019 New Voice Awards. The awards build on last year’s successful Debbie Awards with a new name, rebrand and an expanded number of categories recognising the best undiscovered creatives and the companies who do the most to support them. The New Voice Awards echo the mission of the Festival’s two talent schemes, Ones to Watch and The Network which aim to make the industry more accessible to a broader range of individuals and to provide a prestigious platform for rising stars. 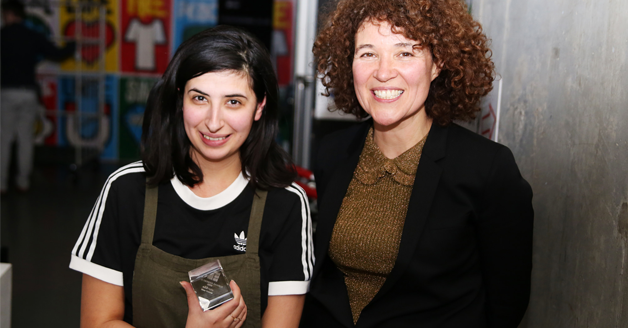 Winners in 2018 included Shivani Thussu who went into paid development with All3Media for her script Paper, and Pip Swallow, whose prize was post-production on her pilot, courtesy of The Farm. Her pilot, Great Expectations, was subsequently selected to feature at Tribeca TV Festival. The two new awards for 2019 are the Stage to Screen Writer/ Performer Award and the Best Agency for New Talent Award.